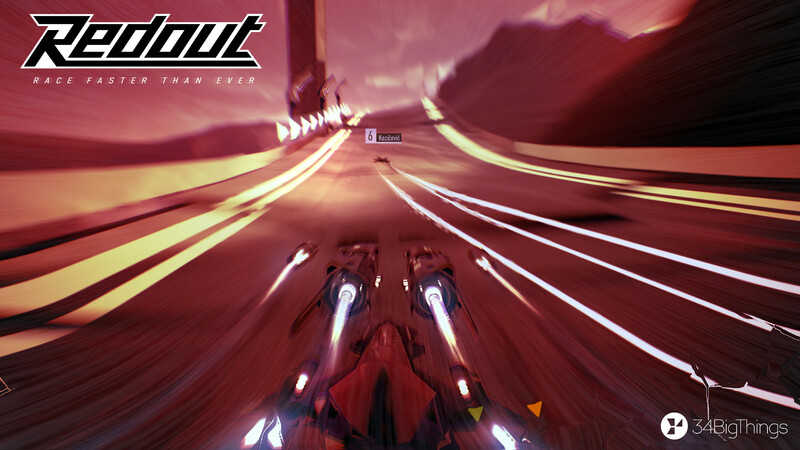 Redout is a high-speed futuristic track racing game in the same vein as Wipeout 2097 and other similar classics. I used to be a Wipeout junkie. It was one of my favourite games on my old PSX and I played it to death. It got me into FSOL and The Prodigy. When “We Have Explosive” or “Firestarter” came on, I knew I was going to win. And I was pretty good at it, too. So when I was given a chance to play and review Redout, I jumped at it. There’s a story behind Redout’s world, but it’s not really important. It’s so not important, in fact, that the game doesn’t bother presenting it to you. There’s not even an introduction to the game. If you’re interested, you can read the Steam page instead. The first thing you’ll notice in Redout is the pretty slick interface. It looks nice, it’s well animated, and it’s functional. Once you’ve used it to start your first race, the next thing you’ll notice about the graphics is that they move rather fast — fast enough that you don’t have much time to pay attention to whether they’re very good or not, at least at first. I’ve been playing some games lately with much more impressive graphics — the dust clouds and storms in Mad Max, for example, put Redout’s desert dust to shame — but with the speed at which Redout moves, everything passes quickly anyway, and it mostly looks reasonably nice. If you pay attention, though, you’ll notice some large polygons and sharp edges sometimes, although in many cases this seems to be a style thing. The ships are the highlight of the game and they look pretty cool: not very aerodynamic, with all of those sharp edges, but cool. But enough of those big triangles, really! Some of the visual effects are a bit overdone and distracting, such as the sparks from grinding on the track surface and the whole screen colour changes during ‘redouts’ and blackouts, but the game does have a good graphical coherence to it. Redout gives you a ton of graphics detail settings, too. I’m playing on a GTX1070 graphics card with everything set to ‘epic’ and it churns along at a nice rate. Music is good. It’s not Wipeout 2097 good, but it’s good enough. There don’t seem to be that many music tracks, though; either that or I’m just unlucky enough to hear the same couple over and over again. Sound effects are okay, but although the graphics give a good sense of speed, the sounds do very little to help it along. They could benefit from a bit more punch. Voiceovers are text to speech. They sound okay, but wonky enough in places that it seemed a bit second rate. There’s a nice homage to Wipeout in there: “contender eliminated.” Yeah! If you’ve ever played Wipeout or any of Redout’s other influences then you’ll be pretty familiar with this. You buy a hovership with starting cash, compete in track-based races like rollercoasters in order to earn more cash, and gradually move up the ladder, buying better classes of ship until you’re the best of the best. Races are fast and at least in the first class, you don’t need to remember which button is the brake. There’s a nice range of ships to choose from, in four classes. Only the slowest class is unlocked to start with, but you’ll soon enough be racing the second class ships as well. Unfortunately I found this progression a bit disappointing; the game is fast with Class 1, and just doesn’t feel much faster with Class 2. As well as ships, cash can also buy you powerups — one passive and one active at any one time — and upgrades for these powerups. These should add another dimension to play, but after buying the fully upgraded Advanced Propeller (supposed to increase acceleration and top speed) and the EMP, I have to say I’m pretty disappointed with them. Racing the fastest ship with the passive powerup that’s supposed to make it even faster, some of my supposedly much slower competitors seem able to out accelerate me at the start of the race, or overtake me on the straights, even while using my afterburner. And more often than not the EMP does nothing, even when firing it off right next to an opponent. I suspect some of Redout’s challenge actually comes from computer opponents that don’t quite follow the rules. Some text is provided as background for the powerups, but this is written quite badly. It’s a shame; I feel the developers would have been better off leaving this out entirely rather than making the poor attempt that seems to have been made here. Redout supports VR devices, which I don’t have, and game controllers, which I do. 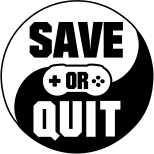 I played exclusively with my XBox 360 controller. Controls were mostly good, although I found the right stick (for pitch and jink/strafe) a bit tricky at first. Activating your active powerup (default X button) is a bit of a pain, too. But I found the controls worked well enough after some practice. There are two basic single player game modes: career (where the core of the game lies) and quick race, which gives you a choice of 10 types of race in which to participate. There are the usual time attack, normal race, and elimination race types, too. Redout also features multiplayer, but I’ve been unable to find anyone playing, so I can’t comment on how well this works. With the speed of the game I’d hope the net code is robust and fast. In what seems to be becoming a fashion in indie games lately, there are no server stats available, so you don’t know whether anyone else is even playing anywhere, and there’s also no way to change your racer name: it uses your Steam profile. The career mode also offers seemingly random — and sometimes broken — contracts. These give you a chance to make more money or even gain a powerup by winning the next race with a specific craft or a specific powerup. They’re a nice idea, but they don’t always work. For example, the first contract I received told me to use a powerup in the next race, which turned out to be a ‘pure’ race (no powerups allowed). I won the race and then changed my ship for the next one, and the game failed to recognise that I’d won, told me that I’d failed the contract, and then gave me the prize powerup anyway. If you’re having trouble with a race (you shouldn’t in Class 1, at least; they’re very easy) you can always replay previous races to try to earn enough cash for a powerup or upgrade to help, but races you’ve won previously pay out much less when you replay them, so be prepared to grind races a bit if you have to make some cash. Overall I’ve found Redout to be a fun racing game, but it’s not the next Wipeout, much as it might try. Where Wipeout’s powerups and weapons added a sense of excitement to the game, Redout’s sort of fizzle out and don’t add much to the experience. But it does try hard, and the many game modes and added multiplayer (if you can find anyone to play with) should keep you occupied for quite some time, even though with only four environments and a few tracks in each, you’ll end up seeing the same tracks a lot! Redout is a good, fast racing game that’s not quite deserving of its high price. Recommended, but only if you can pick it up at a significant discount.